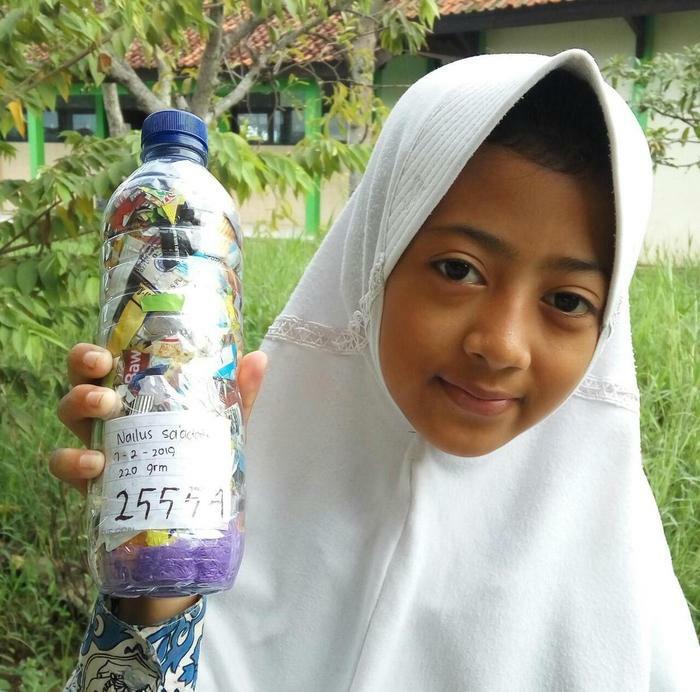 Nailus Saadah just ecobricked 220 g of plastic in Kota Pekalongan, Indonesia. Nailus used a 600ml bottle to pack 220 g of home plastic to make their number 1 ecobrick. Based in the community of SMP NEGERI 10 PEKALONGAN they are working hard to keep plastic out of the local biosphere in Indonesia. The ecobrick has a density of 0.37g/ml and is permanently marked with Serial Number 25554 that can be looked up anytime to get the full details on this ecobrick. The ecobrick was logged on 02/07/2019.